Back in August, we spotted a redesigned Favorites tab for Google’s Phone app that was met with the approval of many readers. It’s taken four months for this UI to start reaching users’ phones. Luckily, it does appear to be a pretty widespread rollout. The main change here is obviously the circular icons for contacts marked as Favorites. The previous interface had been around for a while and was starting to look a bit dated, so this is a welcome redesign. 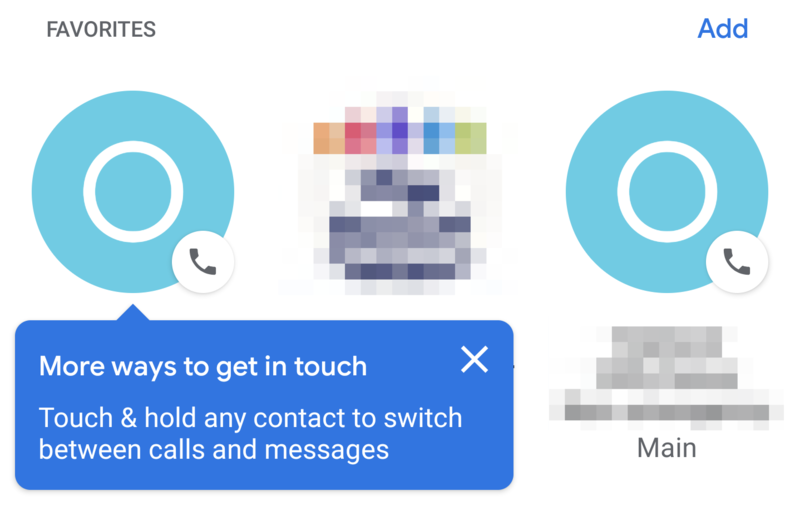 A blue popup will appear for those seeing the interface for the first time explaining how a long-press can allow users to switch between calls and messages; that’s shown above. This rollout appears to be server-based, with the redesign being visible to Artem, myself, and several tipsters even without having updated to Phone v27. Let us know if the new UI has appeared on your device.